Loomis Gag bits can be used for everything from starting colts to tuning seasoned finished horses. 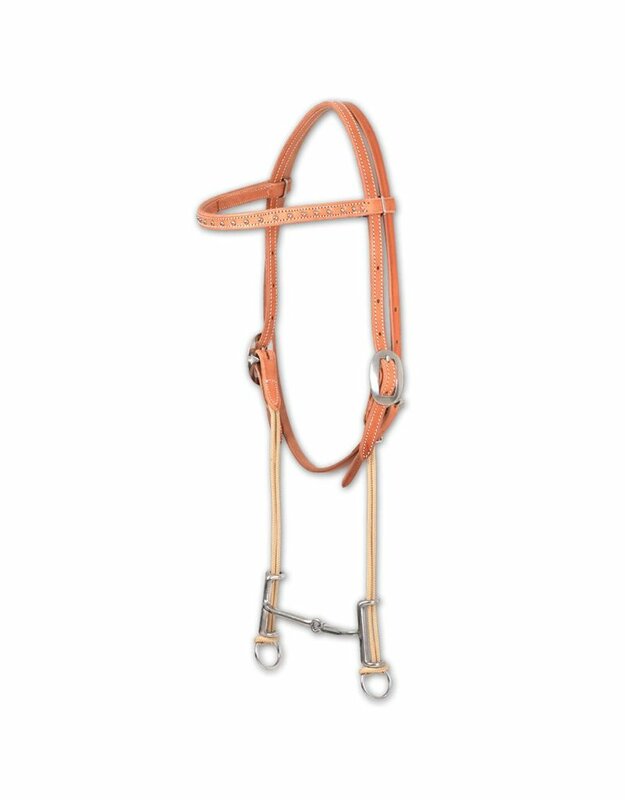 Perfect transition to use directly following the ring snaffle by giving the rider lift and sharpness, which makes it easier to progress the young horse into sidepassing and reverse-arc maneuvers. Excellent for teaching a colt to be collected and helps the rider to effectively communicate neck and body flexion. Popular training tool for barrel racers, reiners, cutters, and endurance riders. 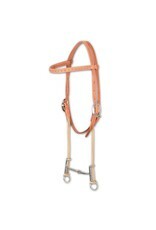 Durable blue nylon cord cheek pieces, stainless steel hardware on double-stitched natural leather headstall with dots. Ready-to-use, all you need are reins.